BET Networks today announced Kelly Price and Kelly Rowland are boarding "American Soul" the newest scripted drama series that chronicles the untold rise of Soul Train. The powerhouse singers will pull double duty on the music-based series, showcasing both their incredible voices and acting chops. Kelly Price joins the cast as a series regular, while Kelly Rowland will portray Soul legend Gladys Knight, who was instrumental in launching Soul Train to national prominence. Rowland will also record an original version of Knight’s classic hit, “Midnight Train to Georgia” for the role. Price will play “Brianne Clarke,” the extremely wise yet cautious head of the Clarke household. Brianne’s children, Simone and Kendall, are rising stars in Los Angeles, but she is wary of what a life as entertainers could bring them. 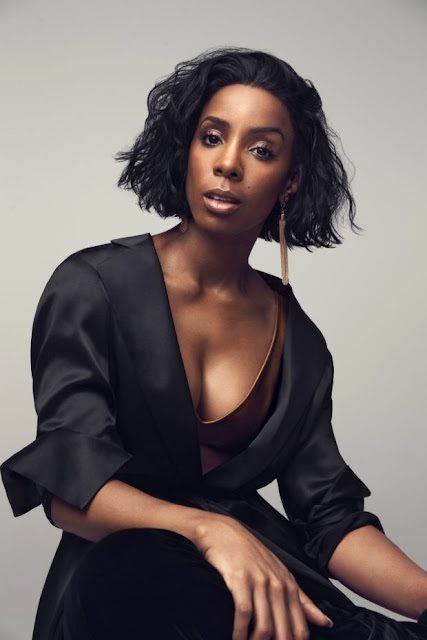 In a multi-episode guest starring role, Kelly Rowland will portray the legendary Soul singer, Gladys Knight. As one of the first performers young Don Cornelius books for Soul Train, Gladys Knight proves instrumental in the nationally syndicated launch of Soul Train. Don impresses Gladys with his groundbreaking vision and turns a would-be business transaction into a true friendship. Everyone knows Soul Train, but not everyone knows what happened when the music stopped. "American Soul" is the untold story of the struggle to make the dream of Soul Train come true. Inspired by the personal trials and professional successes of a young, ambitious and troubled impresario Don Cornelius, the 70s period drama is an unflinching look at the entrepreneur, his Soul Train dancers, and musicians set against the backdrop of a cutthroat Hollywood – how they work, play, rise and fall. The series chronicles “the hippest trip in America” and what became of one of the most prominent and groundbreaking television shows for African-American culture. Production for "American Soul" kicked off on September 17th in Atlanta, Georgia. The series will bow in 2019. Produced by Jesse Collins Entertainment, "American Soul" is executive produced by Jesse Collins, Jonathan Prince, Devon Greggory and Tony Cornelius with Co-Executive Producers Andy Horne and Dionne Harmon. Greggory and Prince will also pen the pilot. For more information about "American Soul," please visit www.BET.com/AmericanSoul.